I am a psychedelic educator and integration coach working with individuals and groups who are on a path of recovery, healing, psycho-spiritual transformation and life optimization. Her approach draws from transpersonal & depth psychology, Eastern philosophy and shamanic healing modalities to fuse ancient wisdom with modern & practical practices. 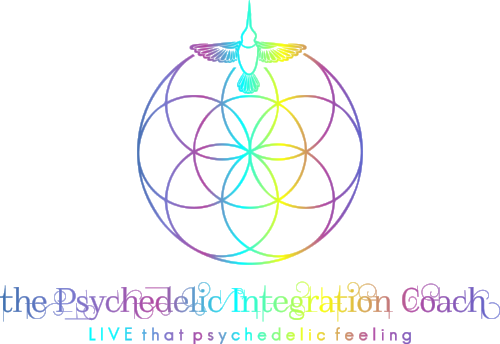 As a pioneer in the field of psychedelic integration and community building, I have been an active member of the Los Angeles psychedelic movement since early 2015, organizing and facilitating informative talks, courses, workshops and integration circles both in-person and online. I am the founder of PsychedeLiA: Psychedelic Integration, Los Angeles, a harm-reduction oriented organization that offers educational resources, emotional support and community-connecting events to people who are interested in psychedelics. I am also the co-founder of InnerSpace Integration, a specialized professional network for integration providers. Through my private integration coaching practice in Chino Hills, CA I have had the privilege and honor to support people who are afflicted by anxiety, depression, PTSD, addiction, substance use disorders, personality disorders, neurodevelopmental disorders, eating disorders, life changes, relationship & social issues and spiritual emergence. As an advocate of psychedelic healing and cognitive liberty I am truly humbled to support others in conscious transformation and witness the collective psychedelic renaissance. I am a mother to a perfect baby girl and married to Dr. Ben Malcolm. I am passionate about writing, learning, singing, Jungian psychology, inner work, creative expression and living a wholly, integrated life. Psychedelics harbor a potential for deep emotional, spiritual and physical healing, transformation and growth. When engaged with intention and reverence, they can be incredible tools of discovery and Self-realization. My aim is to create a mindful and secure container around psychedelic exploration, believing it provides the psychedelic explorer a sound soul and more freedom to dive deeper into the psyche. As a proponent of Depth psychology, my integration philosophy and work is heavily influenced by the teachings of Carl Jung, believing they most accurately depict psychedelic space and integration. My signature coaching style marries Jungian theory with psychedelic education to create a unique interpretation of psychedelic integration. This style is embodied and taught through my coaching programs Psychedelic Alchemy Coaching Group and The Integration Mastermind. In the working alliance clients are gently guided into a journey through the conscious and the unconscious, the personal and the collective, the Shadow and the light, the underworld and Spirit world, the dream state and daily life. Coaching employs dimensions of courageous clearing of old wounds, embodying states of ecstasy and miracles in celebration of ourselves and of life, mastery practices and Self-ownership and reclamation. I have seen that this hybrid of a therapeutic container along with a proactive and goal-focused road map produces tangible results in surprisingly brief amounts of time. Clients understand, heal and release the past and learn the action steps to create the new life they dream of. Sessions harness both intuition and cognition to synthesize years of experience in various integrative modalities such as mindfulness, meditation, neurochemistry balance, nutrition, expressive arts, sound healing, body work, movement and breath work; along with knowledge gained through academic studies, expertise gained through professional trainings; and wisdom gained through psychedelic bliss and grit. The integration lifestyle as an informant of my work is viewed as an eclectic and evolving art installation where profession, play and purpose are one and the same. Striving towards a sustainable congruence between the psychological, physical and spiritual planes, I hopes to both inspire as well as offer a practical modality of integration mastery. I am here to work together with you to articulate and crystalize consciousness into your most prized creation - your life. Individuals who choose to use psychedelic substances should have the knowledge and skillsets to do so with minimal risk and maximum efficiency potentials.